I am very pleased to announce I will be speaking at the biennial “Harvest Your Family Tree” Conference 2014 (September 26-28) with the Kelowna & District Genealogical Society in British Columbia. I have not been to British Columbia preciously so am very much looking forward to the conference as the pictures of the area look great. It will cap an interesting year of speaking as I am also speaking on the 4th Unlock the Past cruise in early February (along with other wonderful presenters such as Thomas MacEntee, Chris Paton , Shauna Hicks and more), then jetting off to speak at Who Do You Think You Are? Live! in London. 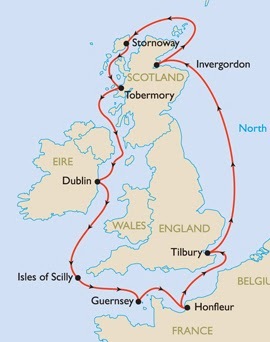 Then home again doing local presentations until July when I head back to England to speak on the 5th Unlock the Past cruise circumnavigating England. More great speakers on this one with Paul Blake, Jackie Depelle, Marie Dougan, Jayne Shrimpton from the UK, Lisa Louise Cooke from the US, Rosemary Kopittke, Mike Murray, Lesley Silvester and myself from Australia. Then back home again for more Australian presentations until I go to Canada! I am also working on a potential visit to New Zealand in 2014 to speak again at the Auckland Library.